Wedding party at Castello di Meleto, live music Tuscany. 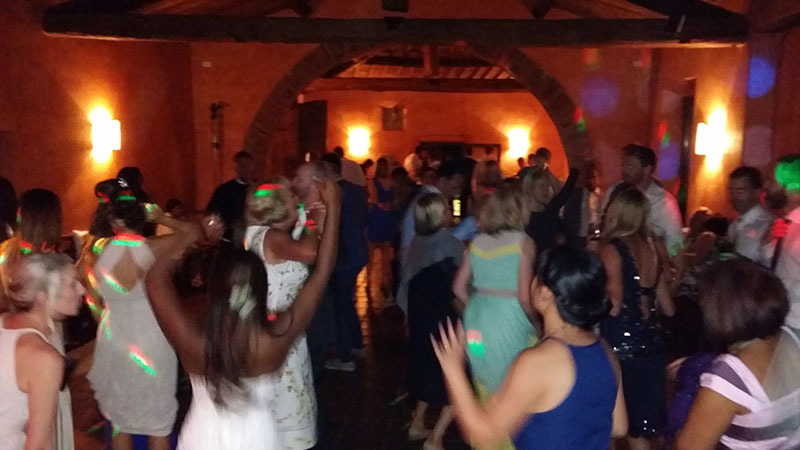 2 videos both recorded during an English wedding party at Castello di Meleto, 53013 Gaiole in Chianti (SI) Italy. Live music by Guty & Simone the Italian wedding musicians, live music Tuscany. Background music + wireless microphone during the dinner and then live music during the after dinner party (live + Dj sets during the breaks music no stop). Guty & Simone duo has been working for more than 15 years in wedding events throughout Italy and abroad. Live music is their job and they ensure reliability and professionalism combined with a long line of experience.